One of the things that I really enjoy is getting the chance to take trips to London. I live in the countryside, several miles west of London and I love living out here very much. However, when the opportunity to visit London comes up, I'm always excited for the change of pace. Often when my other half and I take trips there, we'll stay overnight for a day or two in order to soak up the full experience of whatever has brought us to the city. After booking whatever tickets that we need for an event, our next task is to find ourselves one of the affordable hotels in London. We've often found great deals on some really good places to stay which are convenient to our event or which have great access to the tube. Often we stay in hotels which are kinder to the budget, but quite a few times we've stayed in more luxurious hotels because we shopped around and found a good deal. It's definitely possible to stay in a nice hotel in London without breaking the bank. We're planning to go into London this summer for one of the outdoor music festivals, so we will be staying a couple of days and I can't wait. We'll get out and have a great time at the festival and then we'll come back to our hotel room totally exhausted, but happy. It will be wonderful to have a nice, comfortable place to lay our heads once we come back from a day of music and fun! I'm looking forward to it so much! It's always a treat to be in London, especially when we stay overnight, because it gives us the opportunity to get to things as early as possible or stay as late as we please because we are right there. It makes the experience that much richer because we get to experience the pulse of the city from sun up to sundown. When it's time to go home, we take a piece of the city with us through our experiences and we look forward so much to the next time when we are there. 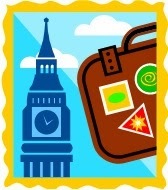 My biggest dream is to know London. When I can realize this dream, I will ask you to help direct me well located and well-priced hotels.